In January I made some predictions on which games would increase or decrease in value every month of the year. Three more months have passed since my last check-up so I think its time to see how I'm doing now after five predictions. For those keeping score at home, I was one for two in my first check-up. "Grand Theft Auto games will increase in price because of GTA IV"
I actually did a full write up about GTA IV raising old Grand Theft Auto resale prices, so I won't repeat everything. In summary the average GTA game on Xbox and PS2 increased about 10% after GTA IV was released. So I got the April prediction correct, which brings my score to 2 of 3. "Chronicles of Narnia goes up in price because of new movie"
This was a much riskier prediction compared to the GTA one in April because it was based upon a movie to video game relationship. In June I wrote an article showing that some movies do increase classic games prices but I didn't know that when I made my prediction. Turns out I got this one right, but only slightly. 3 out of 6 Chronicles of Narnia Lion Witch and the Wardrobe games increased in price. But overall the average price did increase because the increases were bigger than the decreases. 3 out of 4 right. 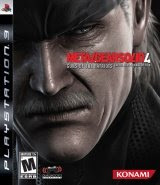 "Metal Gear Solid games will increase in price because of MGS 4"
7 of the 8 Metal Gear Solid games increased in price from May to June. The only exception was Metal Gear Solid 2 for Xbox which dropped $0.02. Games like Metal Gear Solid 3, Metal Gear Solid for Gameboy Color, and Metal Gear Solid Twin Snakes had very substantial price spikes of 50% or more. My prediction also said that Metal Gear Solid for Playstation 1 would NOT increase in price because it was so expensive already. The price did increase from May to June but the price plunged from January to February the month after I made my prediction so most of the price that I said was too high already erased sooner than I thought. Overall I predicted 6 out of 8 MGS games correctly. 4 out of 5 right. So far in 2008 I'm batting .800. I haven't reached the half way point but I think that is pretty good so far.